CLEVELAND, Ohio - Federal, state and local police raided six Internet cafes in Cuyahoga County on Wednesday, seizing video terminals and cash while searching for evidence of illegal gambling and other criminal activity. Attorney General Mike DeWine and Cuyahoga County Prosecutor Timothy J. McGinty say it’s just the beginning and part of a statewide crackdown on such cafes, which DeWine calls illegal mini casinos. An attorney for one of the raided cafes, though, said it was DeWine, McGinty and law enforcement authorities who were violating the law, and he intends to ask Cuyahoga County Common Pleas Court today to demand that they explain their actions. In Columbus just hours before the raids, DeWine briefed dozens of law enforcement officials from across Ohio on how to prosecute Internet sweepstakes cafes and shut them down. At the briefing, he announced a new Internet gaming unit in the attorney general’s office to help them investigate. The special unit includes members of DeWine's staff with expertise on gambling and charitable gaming, as well as investigators from the Bureau of Criminal Investigation. He also announced a 24-hour hotline has been established for law enforcement to call for help. Last week, DeWine signaled that he was ready to go after the sweepstakes parlors, bolstered by a recent ruling in the 8th District Ohio Court of Appeals - the appellate court for Cuyahoga County - that several cafes were operating as illegal gambling houses. He vowed to work with law enforcement to "deal with them." He repeated that pledge at his briefing Wednesday morning for representatives of police chiefs, sheriffs and county prosecutors at the Columbus Police Training Academy. He said the new unit would "assist however we are needed." That will include advice, help with court cases or providing covert investigation where necessary, he said. 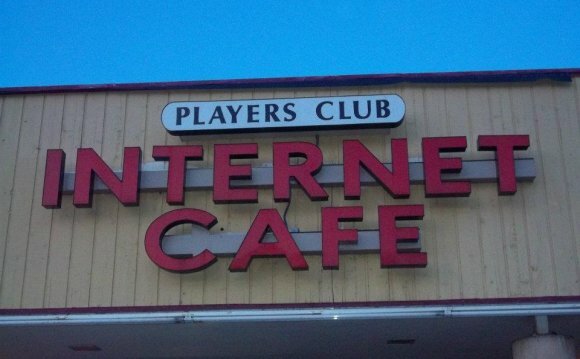 DeWine and other opponents of the Internet cafes argue that they are fronts for illegal gambling and other serious crime, such as human trafficking and money laundering. The attorney general said he would have preferred that the legislature act to make the sweepstakes cafes clearly illegal, but the Ohio Senate has indicated that it may wait as long as a year to act on legislation regulating the cafes. Given that, DeWine said his office will help prosecutors pursue individual cases against the sweepstakes cafes for operating illegal gaming businesses.